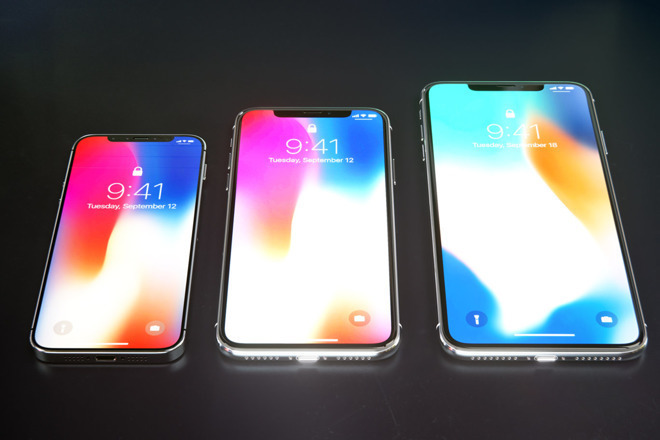 Apple is likely to stick with 7-nanometer chip designs for 2019 iPhone and iPad processors, a report revealed on Friday. Mass production of 5-nanometer chips won't start until the end of 2019 or early 2020, according to C.C. Wei, the CEO of Apple processor manufacturer TSMC, quoted by DigiTimes. "Risk" production will start in early 2019, but Apple would likely need mass production to begin by the summer for devices shipping that year. Wei added that TSMC is expecting to invest $25 billion in 5-nanometer technology, but without offering a timeline. Apple is commonly anticipated to be using 7-nanometer technology in this year's "A12" processor for upcoming iPhones. These include 5.8- and 6.5-inch OLED devices, and a 6.1-inch LCD product, all liable to be announced in the fall. Updated iPad Pros will presumably sport a faster "A12X" chip, if the company follows past trends. The tablets may additionally drop home buttons and switch to Face ID. Shrinking die size allows more processing power to fit into the same space, while also often improving power efficiency. Apple is frequently concerned about both matters, but may be especially interested as it works on its rumored AR/VR headset, which could ship as soon as 2020. That device may use power-hungry technologies such as 8K and WiGig, and wearables must be as slim and lightweight as possible.